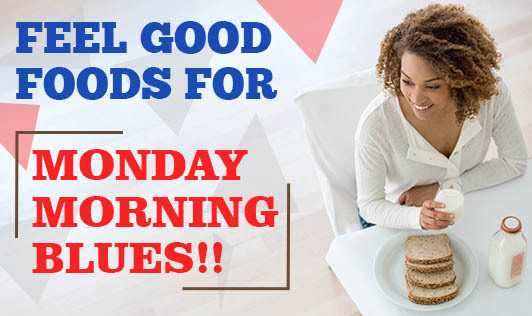 Feel Good Foods for Monday Morning Blues!! I am sure all of us experience Monday morning blues while going to office some or the other time... or maybe all the time! After a lazy Sunday, Monday morning starts with snoozing the alarm several times before finally getting out of the bed. Once out, we run and stumble and get ready just in time! Here are some healthy foods you can include in your breakfast and have a refreshing start to your Mondays! More the colours on your plate, more refreshing the meals get. Try to include a variety of colourful vegetables and fruits to your diet to enjoy the food.